Big Ten and in-state rivals No. 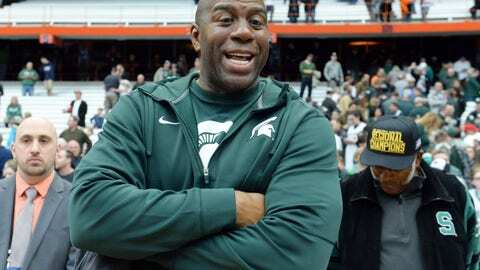 7-ranked Michigan State (6-0) and No. 12-ranked Michigan (5-1) face off at the Big House in Ann Arbor on Saturday in a big-time "show me" game — for the Wolverines especially. I’ll step on and off the soapbox quickly: Whoever did this is an idiot. You’ve proved nothing and the stunt will not be appreciated by anyone wearing maize and blue.